You can visit and tour any Opendoor home from 6am to 9pm daily, no appointment needed. 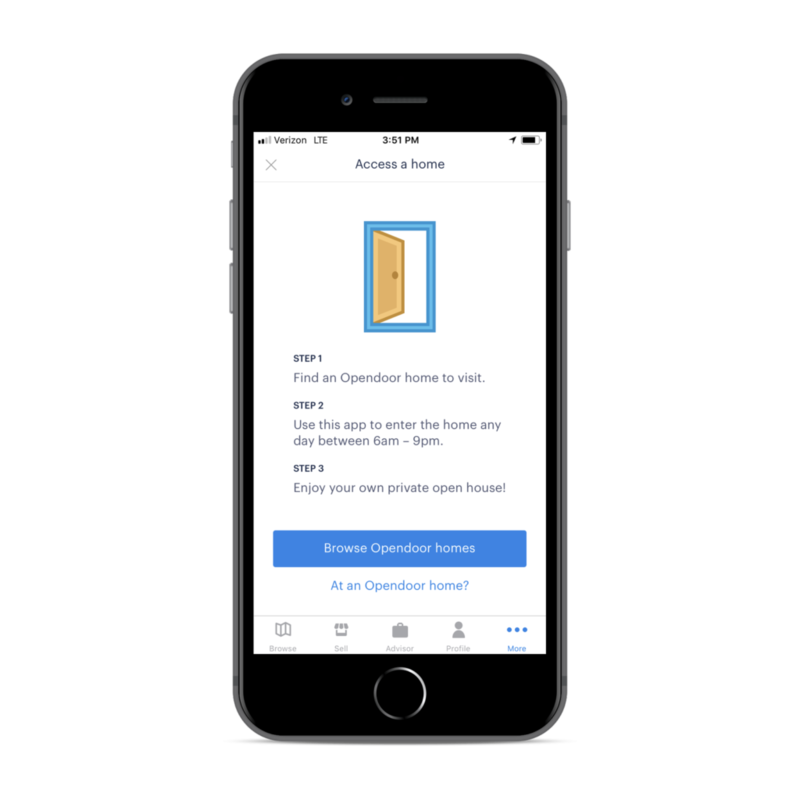 First, download the Opendoor app for iOS and Android or visit opendoor.com/homes to explore hundreds of listings. Once you’ve found a home you’d like to visit, select “tour” to get directions. When you arrive, you can use the app to unlock the front door, or if you’d prefer, we can text you a code that will grant you access. To receive the code, follow the instructions posted on the front door of the home. If you have any questions or if you need help getting in, give us a call at 480.351.6622.